This is a die-cut Graham Paige porcelain sign. 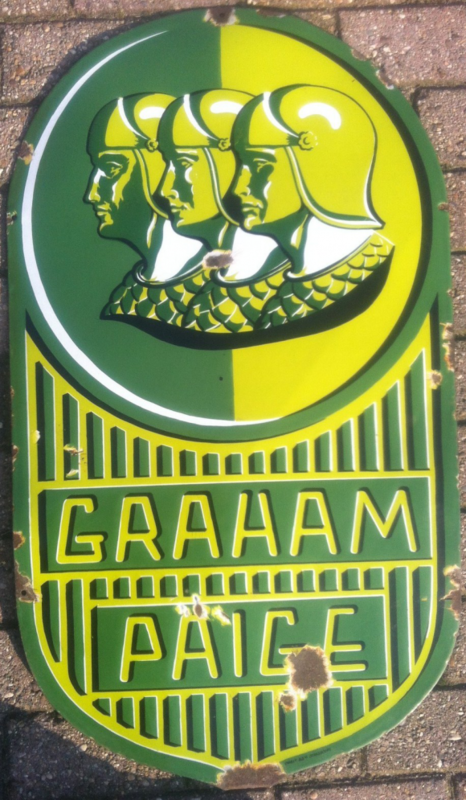 This particular Graham Paige sign is yellow and green. It reads, “Graham Paige” and features three men wearing helmets and chain-mail vests at the top.